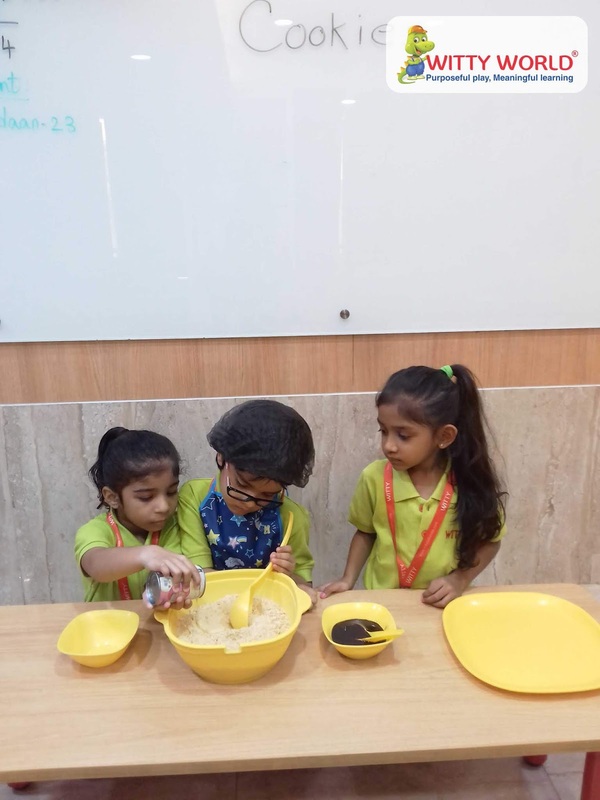 Or take them home with you! Cooking is a messy, delicious, sometimes time-consuming activity, especially when done with a little one. 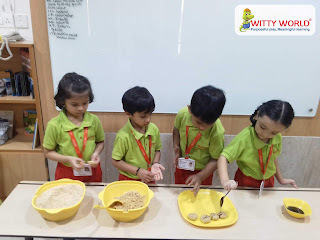 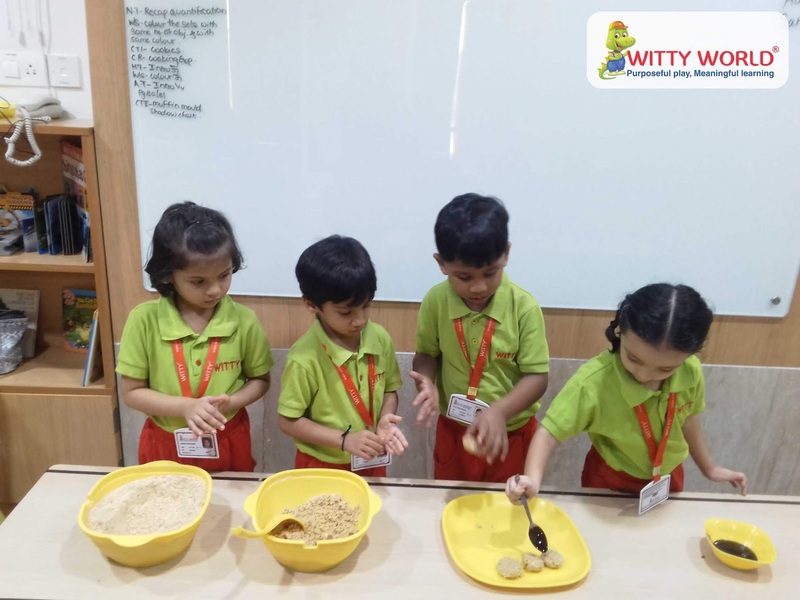 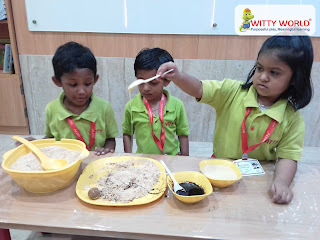 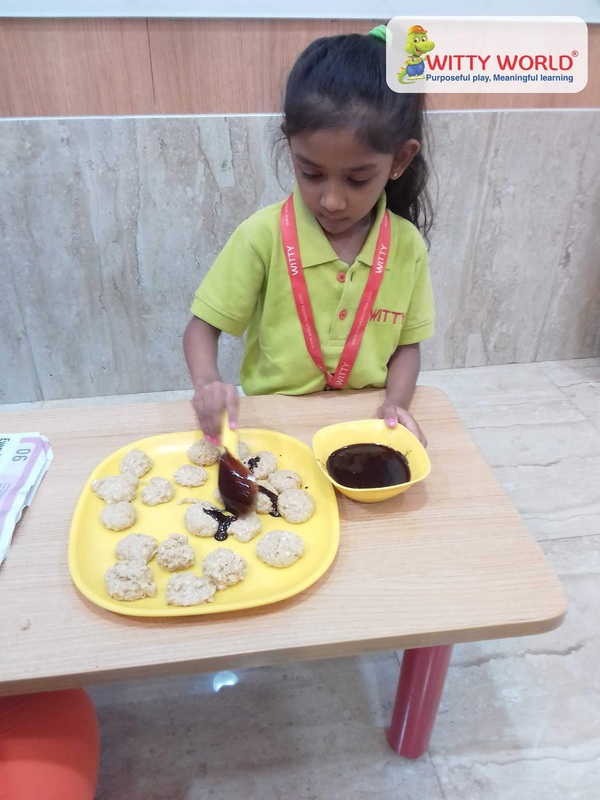 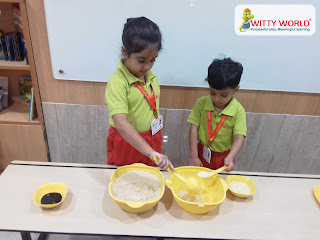 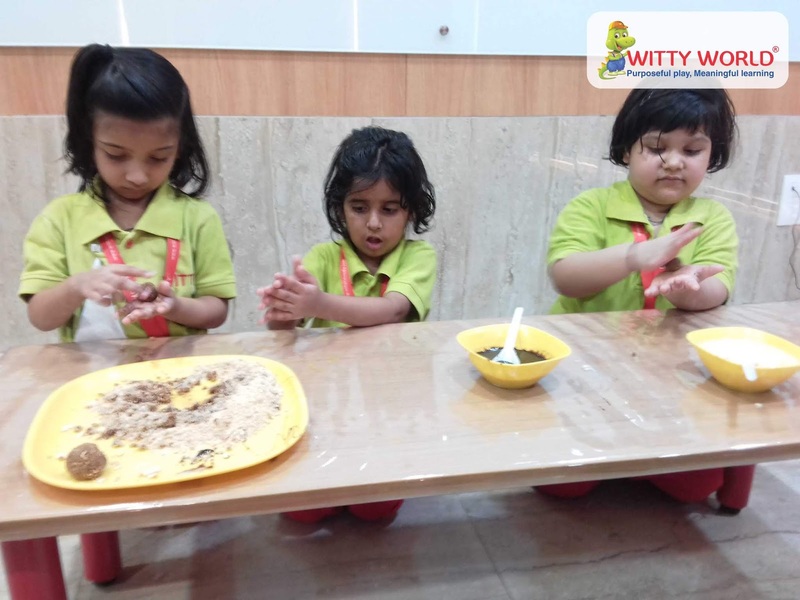 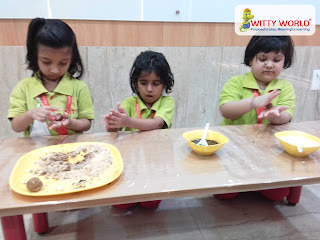 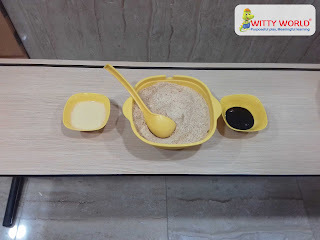 The young chefs of the Jr.KG class at Witty World Bangur Nagar made some scrumptious sweet appetizers using Marie biscuits, Hershey syrup and Milk maid on 26th November 2018. 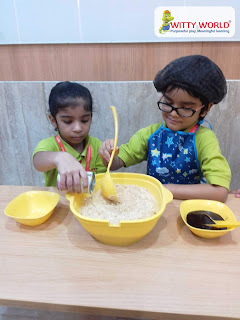 The kids had a splendid time crushing the biscuits and mixing the ingredients together. Children were excited to relish the yummy Cookies balls made by them.